Yes, this is what happened to me on Friday night. I decided to use this free sample of "dishwashing liquid" which obviously was not meant to go into the dishwasher. Lesson learned. 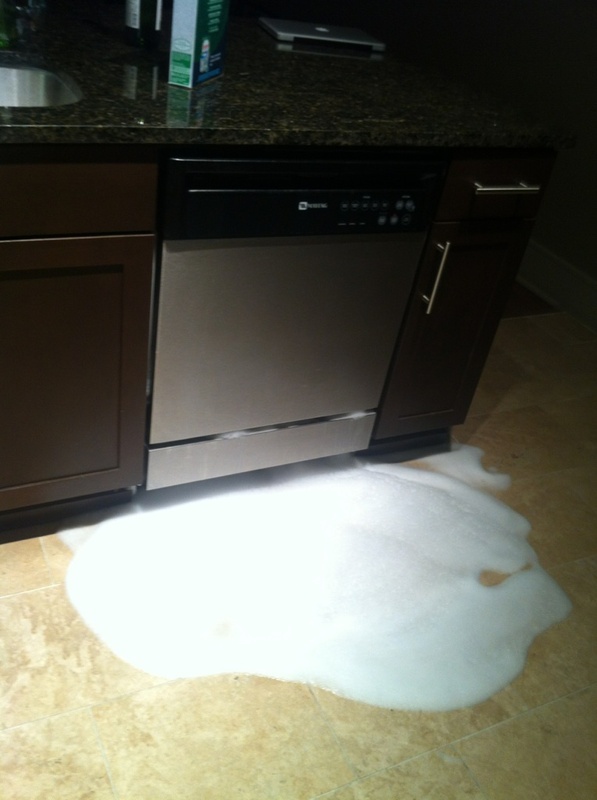 Never use dishwashing liquid aka Dawn in the dishwasher unless you want to have a bubble bath in the kitchen!